Don’t hurt your Credit Scores while renting that home or apartment! Did you realize that in 2011 Experian, one of the three leading credit-reporting companies, added a section to millions of credit reports showing one-time rent payments, and raised the credit scores of many people? The company said that this in 2012 it would add in negative marks, including mentions of bounced checks or of tenants’ leaving before a lease was up. Now two other companies, CoreLogic and FICO, are planning a new credit report and score that incorporates payment histories from landlords, as well as payday and other nontraditional loans, child support and, later on perhaps, utility and mobile phone bills. Incorporating rental payments into credit scores could affect millions of people who have not established credit histories through credit cards, student loan repayments and other credit sources. That includes recent college graduates, students and some divorced people. “The biggest impact is on individuals who were not previously scoreable,” said Brannan Johnston, the managing director of Experian’s rent bureau. Experian has mostly major property managers and apartment companies reporting rent histories, via their accounting software. Most small landlords are not, though Experian is considering a system that could allow more independents to report on-time and problem renters. So, if you are thinking of buying this year it is something to keep in mind. Especially if you are trying to build your credit scores before you make the big move. The lower the credit scores, the less you qualify for and the higher the interest rates may be. Late Video Rental Fees? No Mortgage! Thousands of customers in Montana who owed late fees or any other charges pending at the now defunct Hollywood Video and Movie Gallery are finding it difficult to get a mortgage or finance a car. Movie Gallery, the parent company of the video rental stores and once the second-largest video rental chain, went bankrupt last year, and the debt collection agency National Credit Solutions is now trying to collect from its past customers. National Credit Solutions filed negative credit reports without informing the customers and did not give customers the opportunity to dispute the fees, according to a lawsuit filed by Montana’s Department of Justice on behalf of the customers. National Credit Solutions is also accused of charging the customers penalty late fees–more than $300 in some cases–on top of what they already owed. 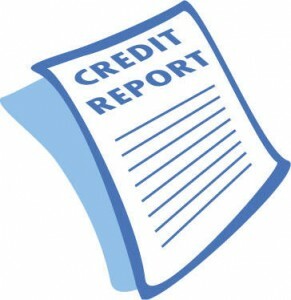 The black marks on the customers’ credit reports are preventing some from getting loans or refinancing a mortgage. But some customers say they are being charged for failing to return a movie even when they had. Movie Gallery is trying to collect from 12,325 customers from Montana. It’s unclear whether customers outside of Montana had been affected, too. “It’s crazy to think that a Montanan would be prevented from refinancing their house or buying a new car simply because they returned ‘Caddyshack’ two days late,” State Attorney General Steve Bullock said in a statement.